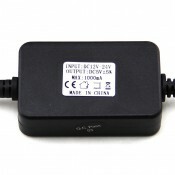 Provides a small footprint module that can be hidden, with only the USB port itself exposed. 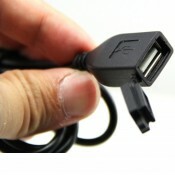 With the included splitter, charge 2 devices at once. Easily installed on any 12V motorcycle, ATV, Boat or Car. 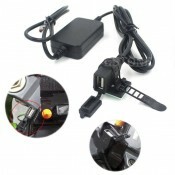 Great add-on kit for motorcycles & ATVs. 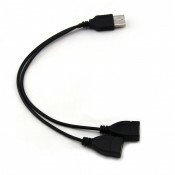 Built-in fuse to prevent damage to your devices. 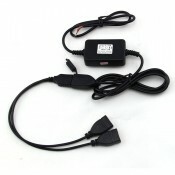 Can be used to charge up to 2 devices. 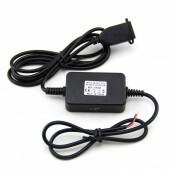 GPS, mobile phone, iPad, Bluetooth intercom, etc. The LX-UPC02 offers peace of mind in your purchase with a 1-year warranty. See the warranty information in the manual for full details.